I loved this bread! I put the sponge ingredients together and took off for my morning walk and visit to the farmers market. When I returned, about 2 1/2 hours later, I had a nice bubbly sponge. 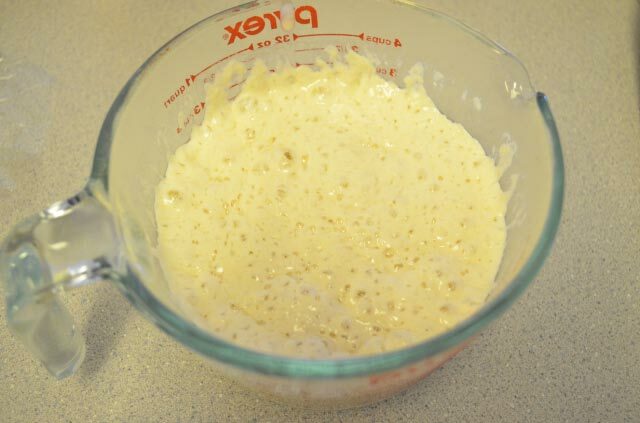 I put the sponge and the rest of the ingredients in the bread machine on the dough cycle and let it do the kneading. I checked occasionally to add a bit more flour, but did not end up using all that was called for in the recipe. I did decrease the amount of salt from 2 teaspoons to 1 teaspoon and it was more than enough salt for my taste. When the kneading was complete, I turned the machine off and set my kitchen timer for 2 hours. It rose nicely during those two hours in the warm environment inside the bread machine. 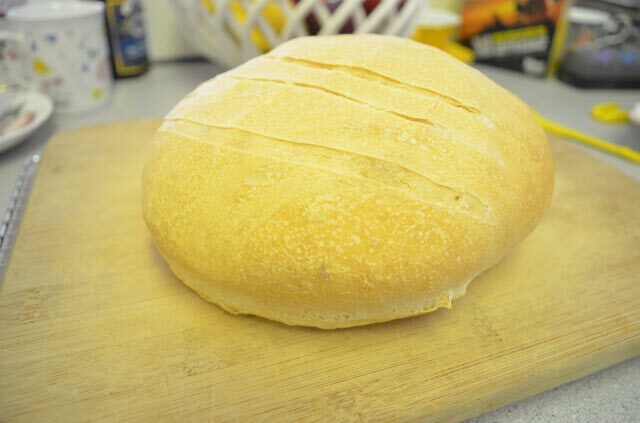 I didn’t quite understand how they wanted it shaped, so I just made a round loaf. Then I let it rise another 2 hours and slashed and baked it. I got a bit carried away with my slashing, once again, I didn’t really understand what the recipe was asking. A couple of the slash lines were a bit close together, but it worked just fine. I do have a lame which I purchased from King Arthur Flour a long time ago. Using the lame with its curved blade makes it easy to slash loaves without deflating them. We ate half of the loaf with a bowl of soup that evening and then finished it off the next morning with some homemade apricot jam. If you would like to try this recipe you can find it on page 102 and 103 in Baking with Julia. Or check out the beautiful loaves of the hosts for this week on Tuesdays with Dorie, Anna and Renee have kindly posted the recipe. I am having bread envy – your’s rose beautifully! I had to laugh at the slashing instructions, I read them to hubby who draws bridges–he had a hard time visualizing the slashes! But however slashed it turned out great. A chewy crust and a fine crumb. Just perfect! You are right it had a great crust and crumb. 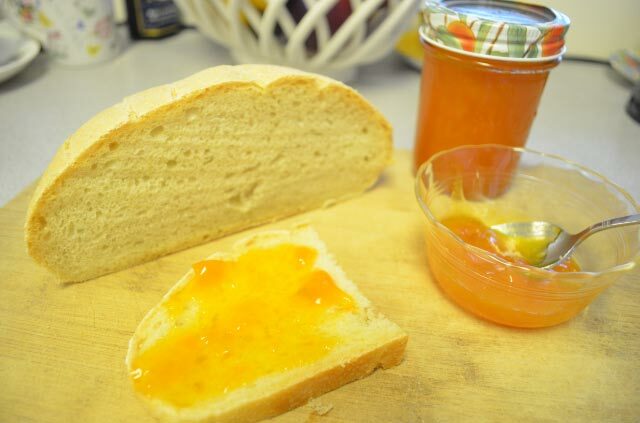 A beautiful loaf and your apricot jam sounds and looks delicious!! The jam was wonderful. Now I just need to make more bread to put it on! We had ours with homemade apricot jam too! ‘Tis the season, I guess. Nice bread! Yes it sure was “the season”. We have an apricot tree in our yard and after 21 jars of jam and several pies, I must say I was glad finally there were no more apricots! I love it when bread making fits naturally into the daily schedule. Yes, it’s not often that I can make it fit in so well. I did like this loaf and will try it again when I have a slow week-end.